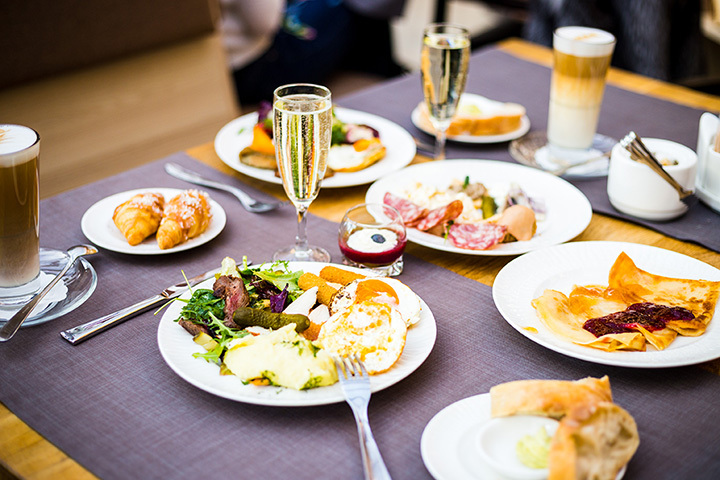 The 10 Best Brunch Spots in Rhode Island! Get a full night of rest, sleep in late, and then retreat to a cozy eatery for a delicious brunch. Sounds like a perfect morning to us! These 10 brunch spots in Rhode Island offer up the best of breakfast and lunch. Your stomach will thank you. If you plan on grabbing one of the few tables at this snug little restaurant, you’ll need to set your alarm especially early. Their handmade breakfast dishes take a sophisticated take on the staples, like huevos rancheros or croissant French toast. The attention to detail at Nick’s is unbeatable. Eggs Benedict, omelets, and home fries—all of it will have your mouth watering. This spot is popular so there may be a wait, but know that the delicious food will make it all worth it in the end. This hip, youthful spot on Broadway is one of the best spots around for brunch. The service is fantastic, and the staff and décor cater to Providence’s more artsy scene. Make sure to order the corned beef hash or the Eggs Benedict—two favorites. Owners Jamey Simoes and Mary Odonohoe have incorporated their many influences from Irish, Portuguese and West Coast food all in one delicious East Coast café. You’ll love the great service and huge portions served up every morning. Built into a converted farmhouse, the Tree House Tavern & Bistro is one of Rhode Island’s more unique experiences, all covered in knickknacks and other memorabilia. Enjoy sipping on Bloody Marys as you dig into their flavorful brunch menu. At T’s, the coffee is always pouring and the breakfasts are always steaming hot! Go for the Texas-style French toast or the blueberry pancake platter, always served with a dusting of powdered sugar. The Shanty pairs ingredients straight from local farms with a non-pretentious yet artful and hip location. Try the delicious breakfast burrito, yam fries, or bacon and brussels salad! Everything is spectacularly fresh and impressive. You’ll know that you’re feasting upon the best locally-sourced ingredients at the Salted Slate. Located in Wayland Square, you’ll love this little restaurant’s warm doughnuts, homemade granola and cheddar and chive buttermilk biscuits. You can’t go wrong with anything on the menu of this brunch spot, which makes it on our list despite its more recent entry to the Providence scene. The mood is rustic chic, with a seasonal menu that’s unbeatable. Go for the crab beignets or biscuits with duck fat gravy! Persephone’s understands that food is our lives’ fuel, and thus they take every measure when it comes to sourcing and preparing their incredible ingredients. You will love the breakfast sandwiches—make sure to go for the Splendid sandwich as your first choice!